People in our community partner with Habitat for Humanity of Greater Memphis to build or improve places they can call home. Habitat homeowners help build their own homes alongside volunteers, like you, and pay an affordable mortgage. With your help, Habitat homeowners achieve the strength, stability and self-reliance they need to build a better life for themselves and their families. 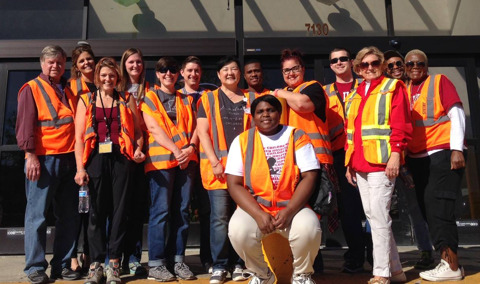 Memphis Habitat has multiple opportunities for individuals and groups to get involved. The 2018 Build Season during our 35th anniversary will start soon! 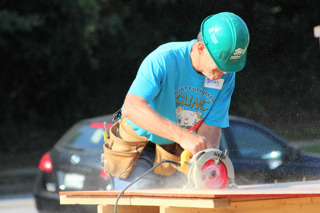 Last year, over 1,500 volunteers donated their time and energy to Memphis Habitat. As you consider volunteering with us, we recommend looking through our 2018 Construction Volunteer Handbook, as well as reading our Family Stories to get more acquainted with Memphis Habitat. Youth volunteers age 16 to18 are allowed to volunteer on the build site, but cannot operate power tools. Children under the age of 16 are not allowed on the build site. Ready to volunteer? Click the link at the bottom of this page for available build dates and reigster to volunteer! Not all volunteers swing a hammer or wield a paint brush! The Habitat for Humanity ReStore diverts tons of gently used homegoods and building materials from landfills by reselling them at discount prices to the general public. The ReStore depends on volunteers to sort and organize donations, stock shelves, assist customers, test appliances and electronics, and much more. Check out our 2018 ReStore Volunteer Handbook, as well as exploring our Memphis ReStore Website to learn more about volunteering and the store. There is no specific training necessary to get involved; volunteers go through a brief orientation on their first day. ReStore volunteers must be 14 or older. Our current opportunities are on Mondays and select Saturdays. Ready to volunteer? Click the link at the bottom of the page for available dates and to register to volunteer! There are occasional opportunities for volunteers to provide administrative or event support throughout the year. 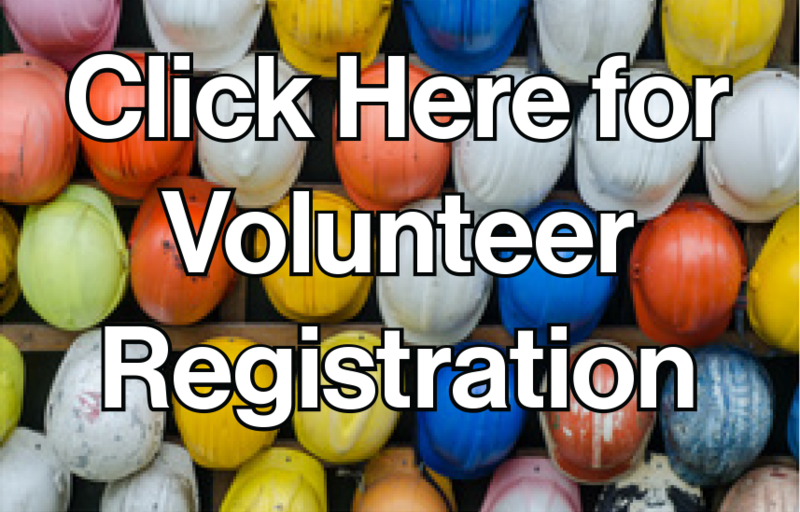 Click the link below for available dates and register to volunteer! Memphis Habitat is always in need of volunteers to help out in the ReStore, around the Habitat offices and helping to prepare for various events and special projects. If you have a knack for filing, sprucing up old furniture or other talents, we just might have the volunteer opportunity for you. You could also hold a coin drive, a bake sale or a nail driving contest to raise funds for Habitat; do a collection drive for various items to donate to the ReStore; build bird houses, paint flower pots, or create a piece of art to pass along to new Habitat homeowners. You can organize and run any number of activities to raise awareness, funds and materials to support the work of Memphis Habitat. If any of the above sounds interesting or you want to learn more about the work of Memphis Habitat, please contact Cameron Sanford, donor relations manager (csanford@memphishabitat.com or 901-322-3532) to find out what your K-12 or college group can do to support the work of Memphis Habitat and help other Memphians build and improve places to call home. Tennessee Promise scholarship recipients have limited time to get their service hours! Scroll to the ReStore or Youth Volunteer sections for information on getting your hours now!